Publisher: First edition, published by Trefoil Publications, London, 1987. Based on an exhibition at the Barbican Art Gallery, this book contains material of interest to art historians, Anglophiles, and armchair tourists. Warner's introduction discusses London as an artistic symbol or metaphor for visitors' ideas about the nature of the city. 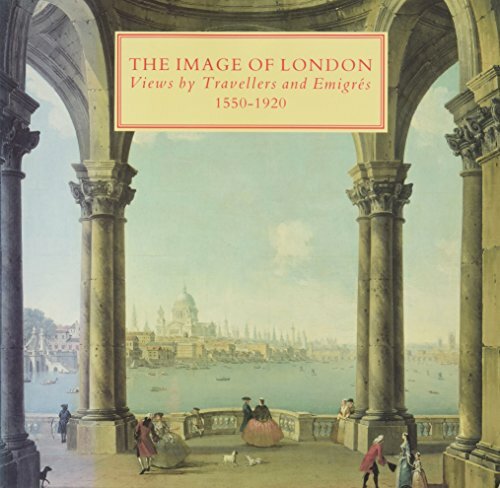 Other essays analyze the special visions of Canaletto, Whistler, Monet, and Pissarro, and while their evocations of London scenery--shown in color plates--are perhaps most familiar, the catalog provides useful, well-researched data on the lives and works of less well-known artists. Many entries are accompanied by small black-and-white reproductions. The illustrations show a remarkable transformation in perception that matches the city's growing complexity and modernization. For specialized collections and large public libraries serving strong interests in British culture.<br /><i>- Paula A. Baxter, NYPL</i><br />Copyright 1989 Reed Business Information, Inc.